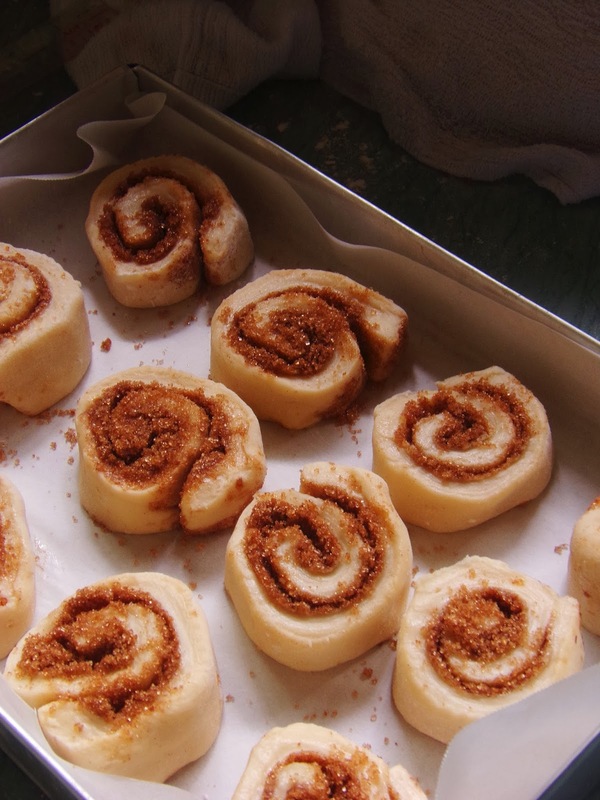 Who couldn’t resist the sweet cinnamon aroma of cinnamon rolls? By just mere smelling those freshly baked goods it’s as if I’m already eating one on my hand. It smells therapeutic and taste divine. decided to buy a box of their cinnamon rolls. It’s heavenly delicious. I love the sweet lingering taste of sugar and my well-loved cinnamon. Since yesterday was my father’s birthday, we decided to prepare some simple dishes like pancit canton, buffalo wings and freshly baked cinnamon rolls. I found a recipe of cinnamon roll at allrecipes.com and it’s fairly easy to do and looks delicious as well. 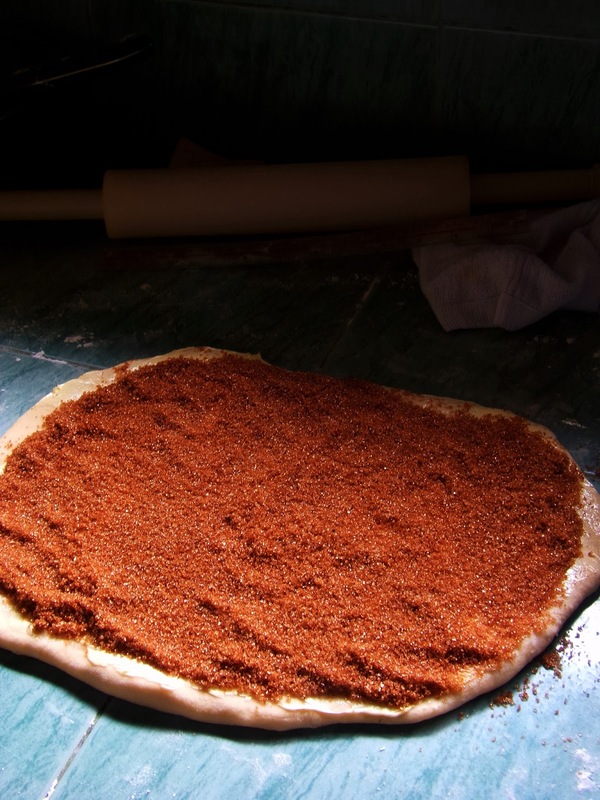 the dough into two parts and shaped it in to 9 by 12 inch sheet. I spread a quarter cup of softened butter on each sheet and generously spread the sugar cinnamon mixture. I rolled the dough and sliced each dough into 12 parts. 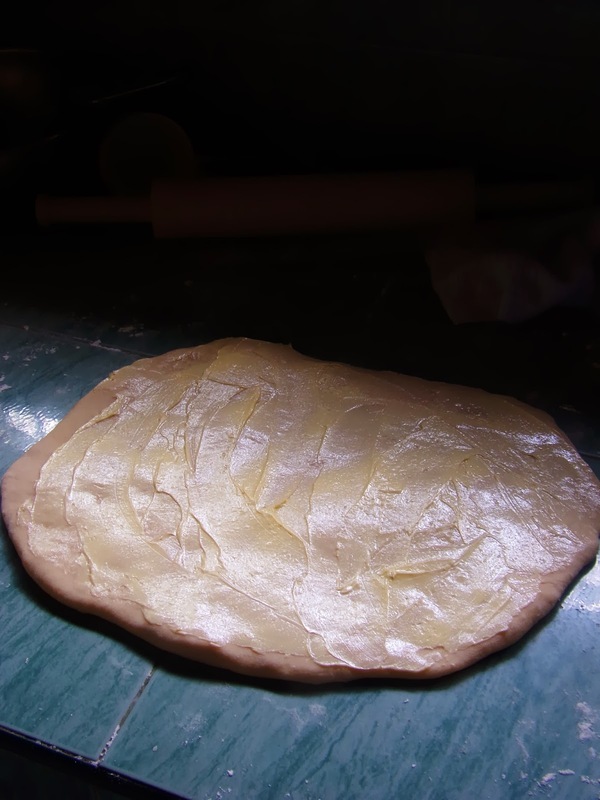 I placed the sliced dough in a 9×13 in pan lined with baking paper and covered it with damp towel and leave the dough to rise until the volume doubles. Then baked those lovely dough for 25 minutes and we have our freshly made cinnamon rolls for the dad’s birthday. Our house was filled with the baking aroma of cinnamon rolls. I loved the cinnamon scent that was all over our house. It’s as if the cinnamon rolls are teasing us and saying “Come and eat us already. Oh! We forget, we’re not yet done.” I just told myself to just wait and those cinnamon rolls will be devoured in no time. the cinnamon roll and dunk it into my mouth even though the roll is a bit hot that I could barely hold it with my hands. Who cares anyway? I just want a quick taste of those lovely cinnamon rolls. The bread is soft and has a nice buttery flavor. I love the flavor combo of melted butter, brown sugar and cinnamon. The cinnamon flavor is just enough and not too over empowering. When I woke up today, I found a small piece of cinnamon rolls sitting on our table and I quickly ate it and it’s still soft as if it’s from yesterday. My little goddaughter fell in love with the cinnamon roll so my mom gave the remaining 3 rolls to her. Well, I think she has a nice palate for good food, huh! 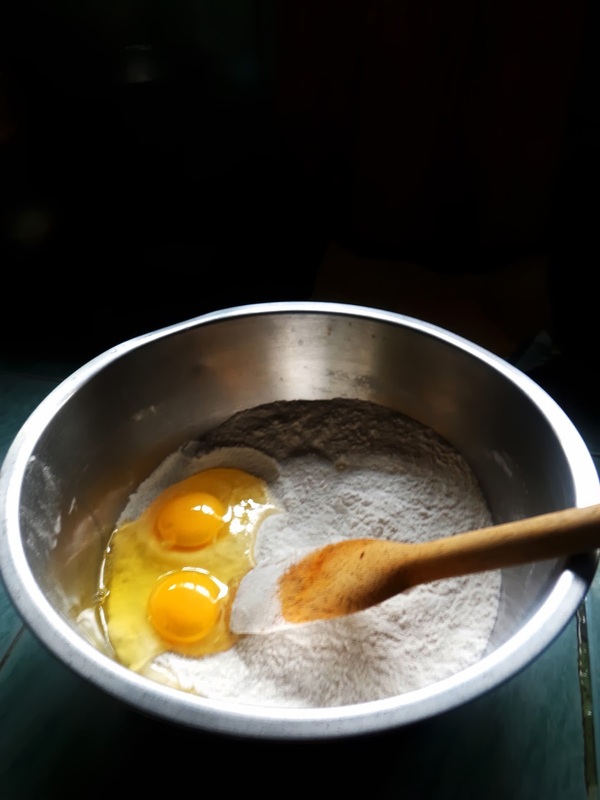 Combine 2 cups of flour, sugar, salt and yeast. Give it a quick whisk to combine everything. 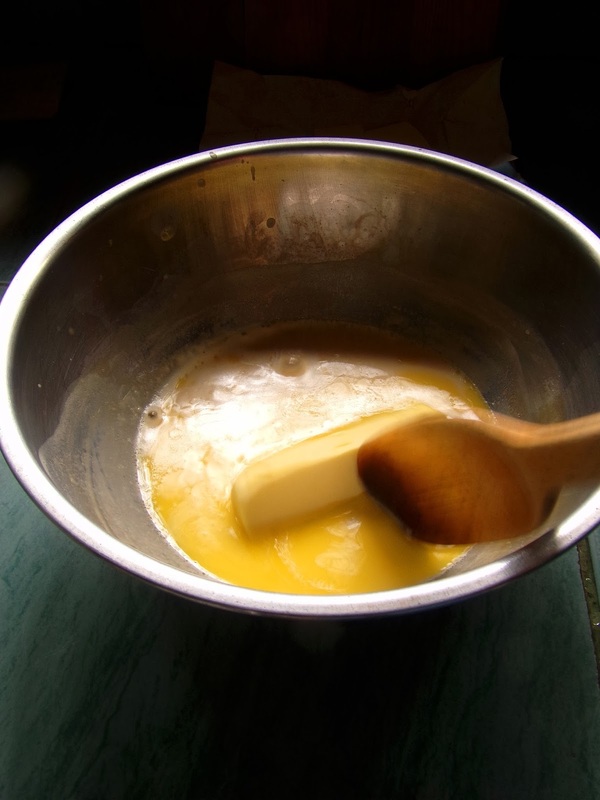 Add eggs and mix using a wooden spoon and set aside. Heat milk until bubbles appear. Add butter and stir until melted. Add the water and stir. The temperature must be 50 to 55 degrees Celsius. If temperature drops down, simply reheat the mixture to maintain the temperature to 50 to 55 degrees Celsius. 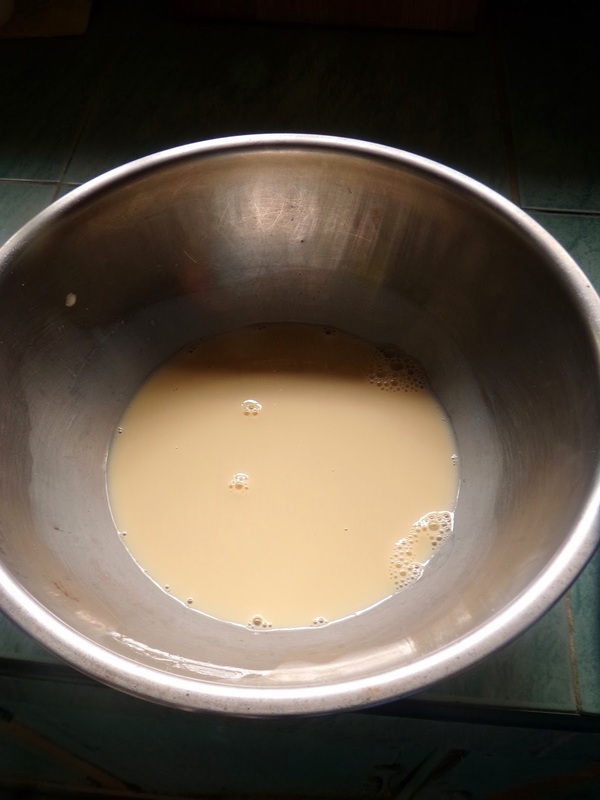 Gently pour the milk mixture into the dry flour mixture with continuous mixing using a wooden spoon. 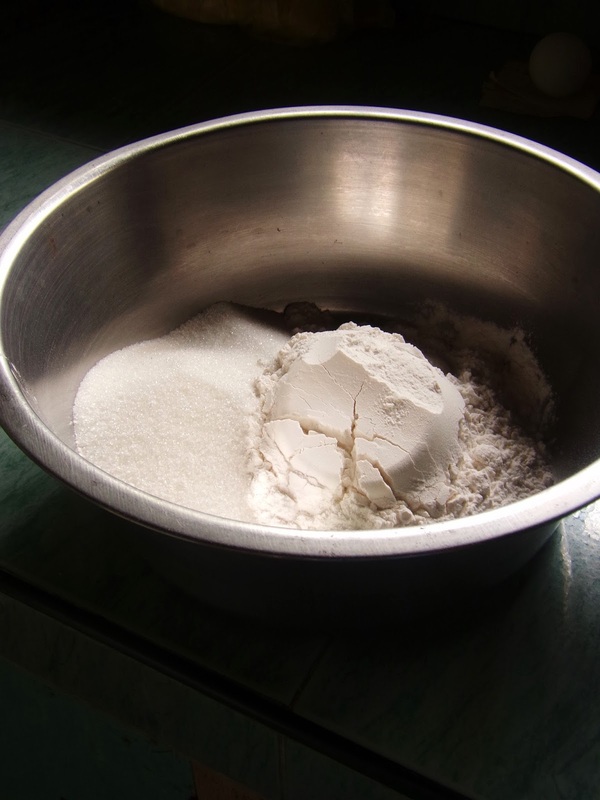 Add the remaining 4 cups of flour half cup at a time with continuous mixing. 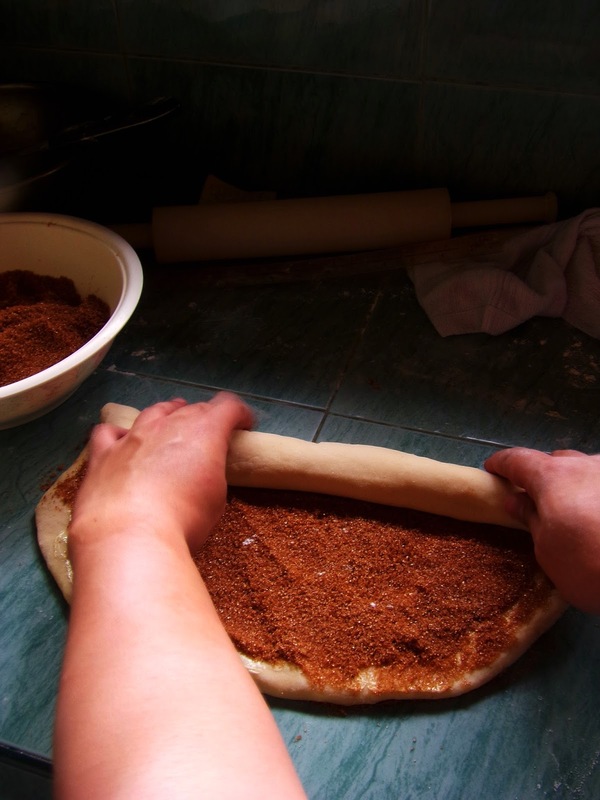 When everything binds together, transfer the dough on a floured surface. Knead the dough using the push-pull-quarter turn method for 8 minutes or until the dough is already smooth and does not stick to your hands. 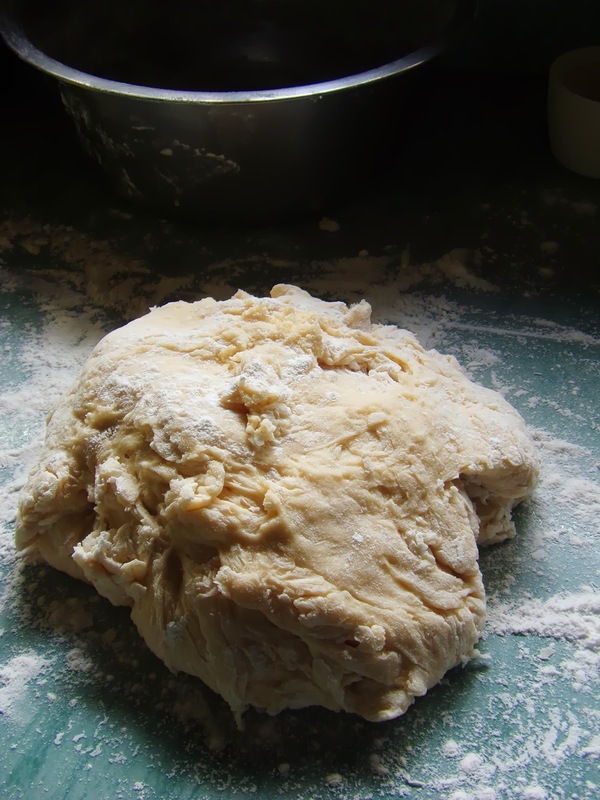 Divide the dough in to two parts. 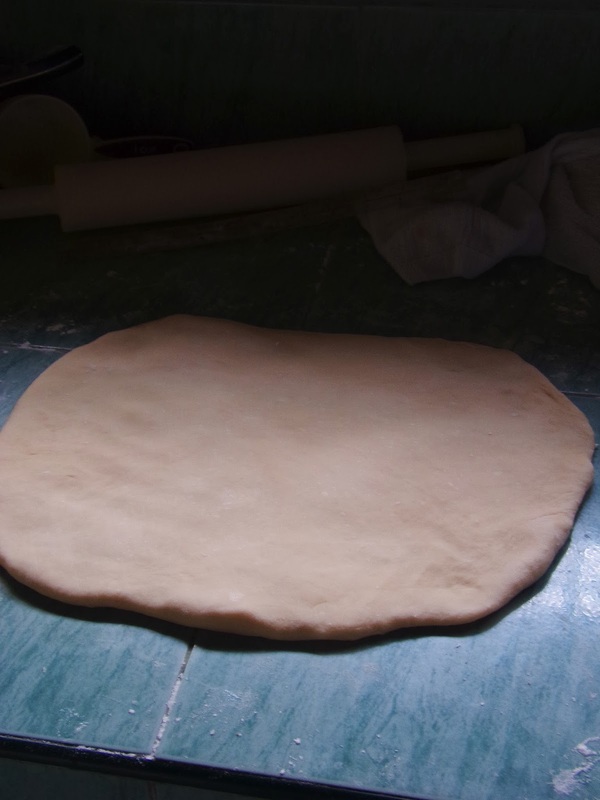 Shape the dough in to 9 x 12 inch sheet using a rolling pin. Mix brown sugar and cinnamon together. I just simply use my hands in combining these two wonderful ingredients. Spread half (1/4 cup) of the softened butter on to the dough sheet leaving at least an half inch on the other long end of the sheet. This will be an allowance to seal the rolled dough. Spread half of the sugar mixture on to the dough sheet. 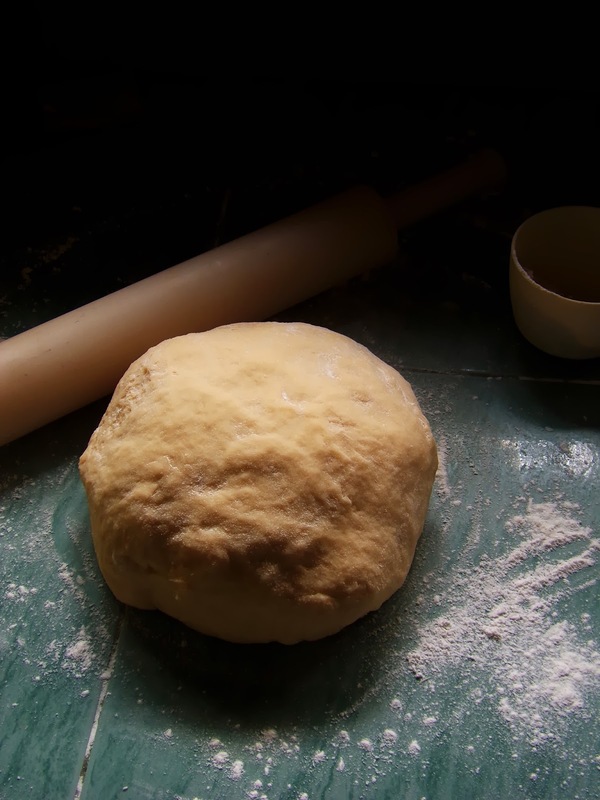 Roll the dough on the longer side and seal the rolled dough with a dab of water. 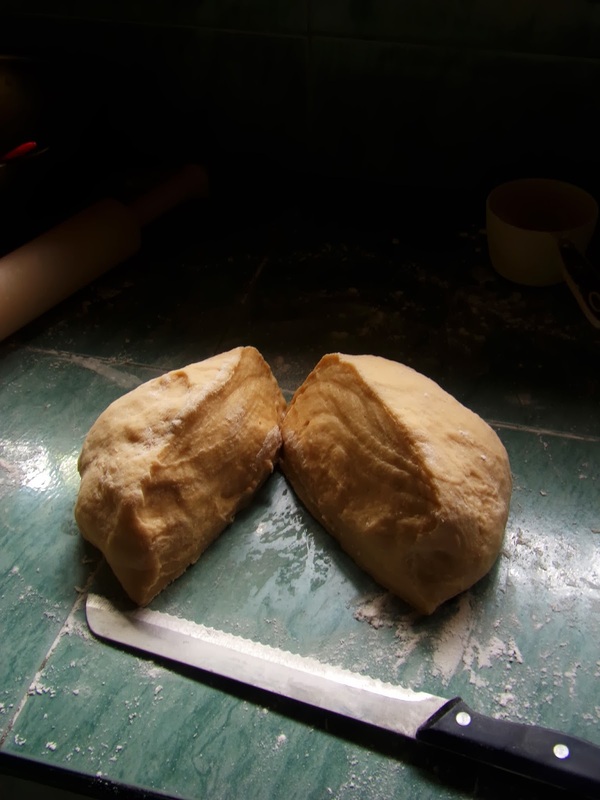 Using a sharp knife, divide the dough in to 12 parts and arrange it in a 9 x 13 in pan lined with baking paper. Cover the pan with damp towel and allow the dough to rise and doubles in volume about 1 to 2 hours. You can also pop this in the fridge and let it rise overnight. Bake in a preheated oven for 20 to 25 minutes. It took me 25 minutes to baked these cinnamon rolls. Best serve hot and with a cup of hot coffee.